Literature throughout history has suggested various famous people had epilepsy. Since the dawn of time, epilepsy has affected millions of people, from beggars to kings. It is one of the oldest conditions of the human race with a rich and distinguished history. Despite the challenges, people with epilepsy have their strengths, hopes and dreams like everyone else and can achieve. Born in Belgium in 1878. 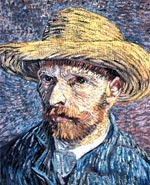 He was a post impressionist who is touted as one of the most original artists ever. He was known for applying bright paint very thickly in swirls or dashes and usually demanded to be supplied with the colour yellow. He only sold one painting in his lifetime. Today, his paintings are priceless collectibles. In 1990, a portrait of his doctor he painted, sold for $82 million dollars. His famous works include: Potato Eaters, Sunflowers and Starry Night. He cut his ear off in a distraught rage after fighting with his friend Paul Gaugin. Born in Germany in 1770. 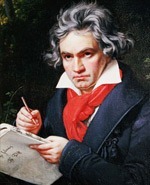 He is one of the most respected and influential composers of all time. He began to lose his hearing in 1801 and by 1819 was completely deaf. However even with the hearing loss he continued to conduct and perform. He was a pivotal figure in the transition from 18th century musical classic to 19th century romanticism. Born in France in 1412. She is a national heroine of France and a saint of the Catholic Church. 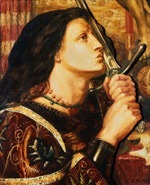 She believed the Saints of God directed her to go to the King of France to help him reconquer his kingdom. She led the French to victory against the English. During the war she was captured and burned at the stake as a heretic at the age of 19. Thirty years later, she was exonerated of all guilt and ultimately canonized in 1920. Born in 1769 in Corsica, France. 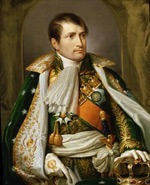 Was the emperor of the French. Known as one of the greatest military commanders of all time, and conquered much of Europe. He developed a legal code which stressed that laws should be clearly written and accessible to the public. It was a major step forward and strongly influenced the law in most of Europe. Historians have called it one of the few documents which have influenced the entire world. The Arc de Triomphe, the centerpiece of the city of Paris, was built to commemorate his victories. Born in 1642. He was an English physicist, mathematician, and natural philosopher. Considered a genius and one of the most important scientists of all time. He formulated laws of universal gravitation and motion -laws that explain how objects move on Earth as well as through the heavens. 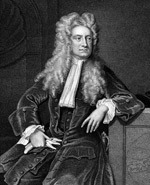 Established the modern study of behavior of light -and built the first reflecting telescope. His mathematical insights led him to invent the area of mathematics called calculus, which gave science one of its most versatile and powerful tools. Born in 1890 was an English crime writer of novels, short stories and plays. Her work has given her the title the ‘Queen of Crime’ and made her one of the most important and innovative writers in the development of the genre. The Guinness Book of World Records lists her as the best-selling writer of all time, along with William Shakespeare. Only the Bible is known to have outsold her sales of four billion copies of novels. The man responsible for some of the greatest religious paintings in history including Mona Lisa and the Last Supper of Jesus. Born in 1833 was a Swedish chemist, engineer, innovator, and the inventor of dynamite. He held more than 350 patents and controlled factories and laboratories in 20 countries. He left much of his wealth for its establishment of the Nobel Peace Prize recognizing outstanding achievements in physics, chemistry, medicine, literature, and for work in peace. He was born in Russia in 1840 and became one of the World’s best composers. The Nutcracker, still a holiday favourite is considered among his best known work. Extraordinary women who led hundreds of her fellow slaves from the American South to freedom in Canada on the Underground Railroad. The sculptor of many of the most renowned sculptures of all times. Michaelangelo was a respected renaissance man only rivaled by Leonardo Da Vinci. He is perhaps most famous for his painting inside St.Peters basilica in Rome. Born in 1812 he was the foremost English novelist of the Victorian era, as well as a vigorous social campaigner. His most famous works include classic books like A Christmas Carol and Oliver Twist (a character who had epilepsy). Born in 1947 he is a great actor known for many movies but in particular Lethal Weapon, Predator 2. At the age of 15 he developed epilepsy, but no longer has seizures. ‘Pawn Stars’ cast member and Gold & Silver Pawn owner Rick Harrison (pictured right) was propelled to fame with the runaway success of his History series. But it was living with epilepsy that started his interest in history.